Oooo lace, lately you've been setting my heart aflutter! 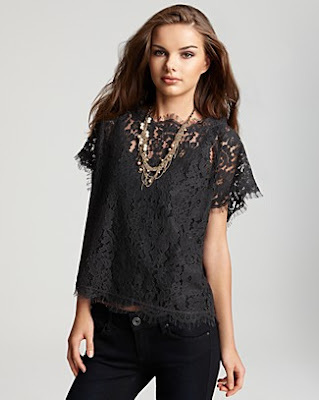 Buy this Joie top at Bloomingdale's for $178 - note that it's just the lace top sans any lining. Pair with a black cami one day, a neon pink one another day for two very different looks!